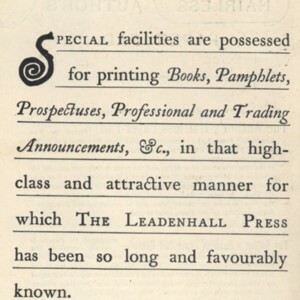 An advertisement for the Leadenhall Press, found in the back of "Pages and Pictures from Forgotten Children's Books." Cropped image of Third Folio second edition of Pericles, Prince of Tyre. 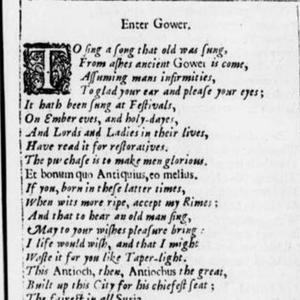 A cropped image of the Gower's opening lines from the Third Folio second edition of Pericles. The Elizabethan spelling would have been left up to the compositor, in this case, there were likely three.